In the year 1355 BCE, the land of Egypt was the superpower of the known world. King Tut’s father, Akenaten, the so-called ‘heretic pharaoh,’ and his wife, Queen Nefertiti, are on the verge of catapulting Egypt into a revolution that will forever divide its people and rip the most powerful empire on the earth from its foundation. Inspired by the actual Hittite and Amarna letters of 14th century BCE, ‘Valley of the Kings: The 18th Dynasty’ is an epic novel of intrigue, passion, and betrayal, resurrecting the thrilling story of a singular leader whose beliefs were both visionary and disastrous. Egypt. A modern-day Arab nation. But above all, a land of awe and wonder, shrouded in the mists of time. A Biblical land, where Abraham walked and Pharaoh coveted Abraham’s wife for himself. The land where the Hebrews lived in exile and slavery before Moses marched them away. The place where the infant Yeshua and his birth parents found refuge. Until they had to return to their destiny in Israel. Nurtured by the Nile and rich in the glorious heritage of its past, Egypt continues to fascinate. 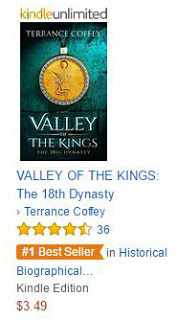 I read ‘Valley of the Kings’ by Terrance Coffey as if entranced. Having lost my reading speed sometime back, I'm delighted to report that I seem to have recovered it. This is storyteller’s magic, I tell you. There are too many diversions in my life for this to occur for nothing. 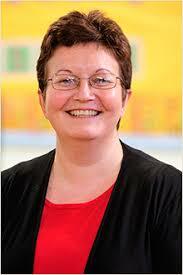 Coffey demolishes some myths. shattering the image of King Tutankhamun as a weak, sickly boy. The depiction of Queen Ty is masterful. 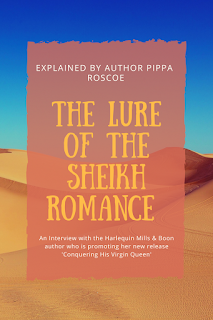 Ty was a conniving commoner who inveigled her way into the Egyptian royal family. Pharaohs generally married only princesses. They were usually succeeded by sons-in-law. How horrifying that ‘sweet’ Nefertiti, a loving wife and mother, endangered her co-wife. as cunning Queen Ty did. All in the cause of keeping the upper hand. There were a few little things which jarred. Pharaoh Teppy? Sorry, I’d have preferred Tepi. Actually, the king’s name was Amenhotep IV. Before becoming Akhenaten, of course. And Princess Senpaten? Wasn't it always Ankhsenpaaten? In fairness, most readers looking for a good story would prefer the author’s suggestion for the name. For which I salute him. The Amarna Royal family of Egypt’s 18th dynasty was a tragic one. Coffey retells the story with skill. He attempts to fill in the gaps in the story, for which one has to admire him. I recommend this for readers who enjoy stories of political intrigue. Those who love Egyptology and magic with a touch of fantasy and journeys back in time would also enjoy this. Verdict? A great story, well told. Don’t miss it. 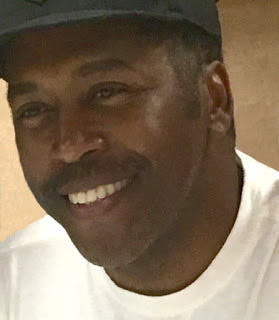 Terrance Coffey is a bestselling author, screenwriter, songwriter and composer with a predilection for Egyptian history. He has written numerous short stories, screenplays, television pilots, and even Coca-Cola music jingles. 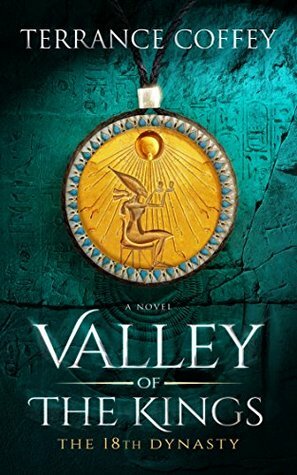 His debut novel “VALLEY OF THE KINGS: The 18th Dynasty” is the first of a trilogy and a #1 Amazon bestseller.